1).From the given alternatives select the word which cannot be, formed using the letters of the given word. 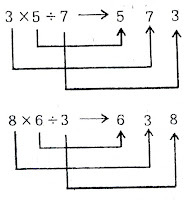 2).A group of alphabets are given with each being assigned a number. These have to be unscrambled into a meaningful word and correct of letters may be indicated from the given responses. 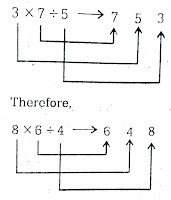 3).If APPREIATION is coded as 17783241965. How will you code RECEPTION? 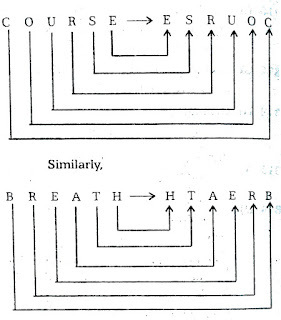 4).In a certain code COURSE is written as ESRUOC. 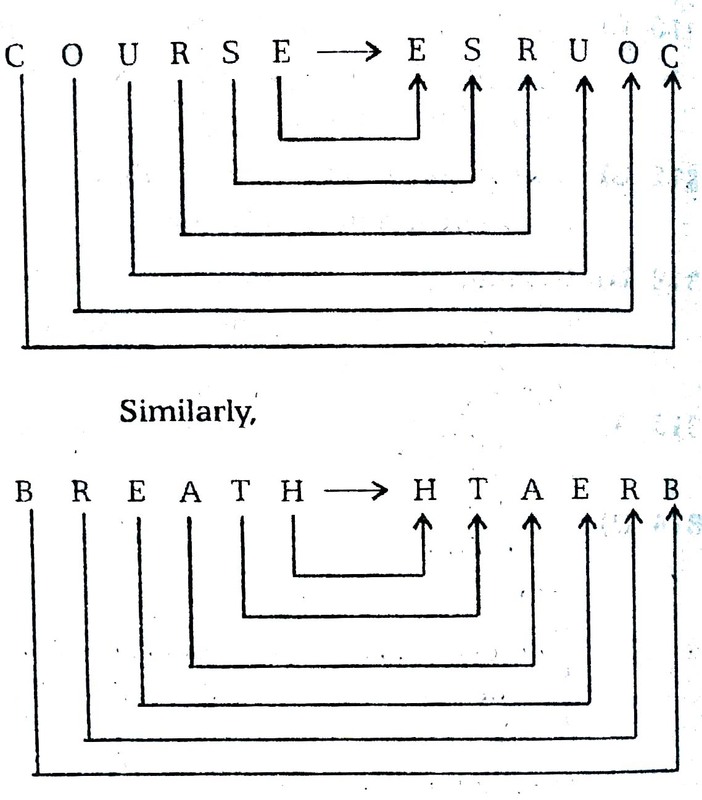 How can BREATH be written in that code? 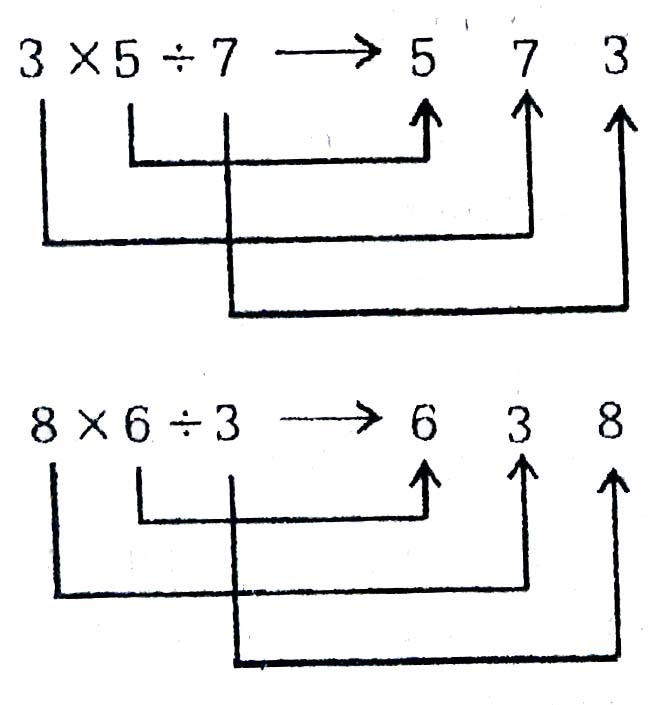 5).Which of the following interchange of signs or figures would make the given equation correct? 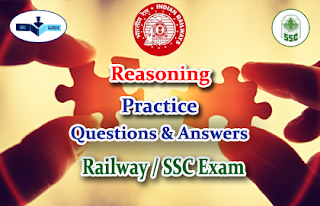 6).Some equations are solved on the basis of a certain system. On the same basis, find out the correct answer for the unsolved equation. 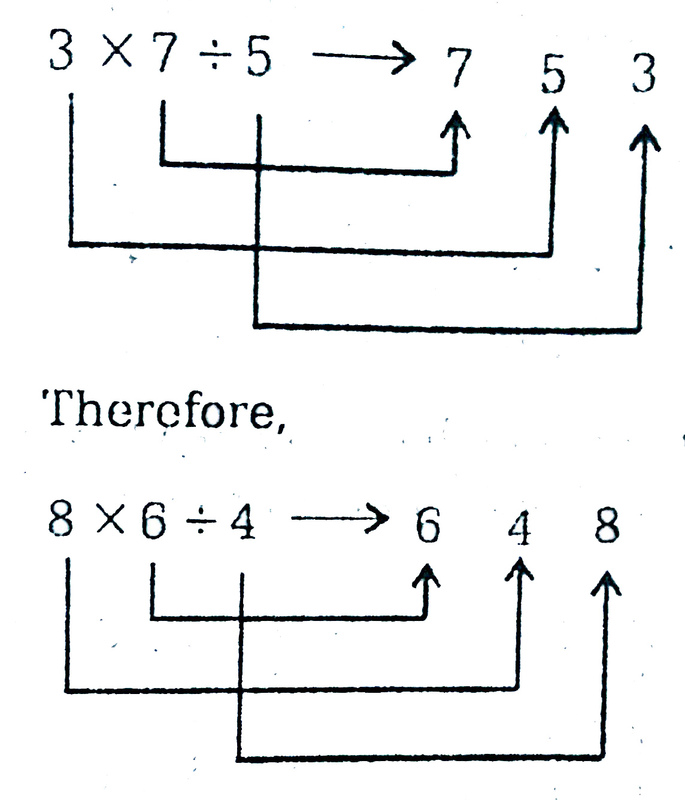 7).Select the correct combination of mathematical signs to replace * signs and to blance the given equation. 8). 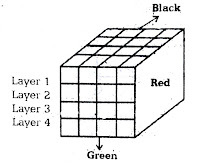 A solid cube of 4 inches has been painted red, green and black on pairs of opposite faces. It has been cut into one inch cubes. 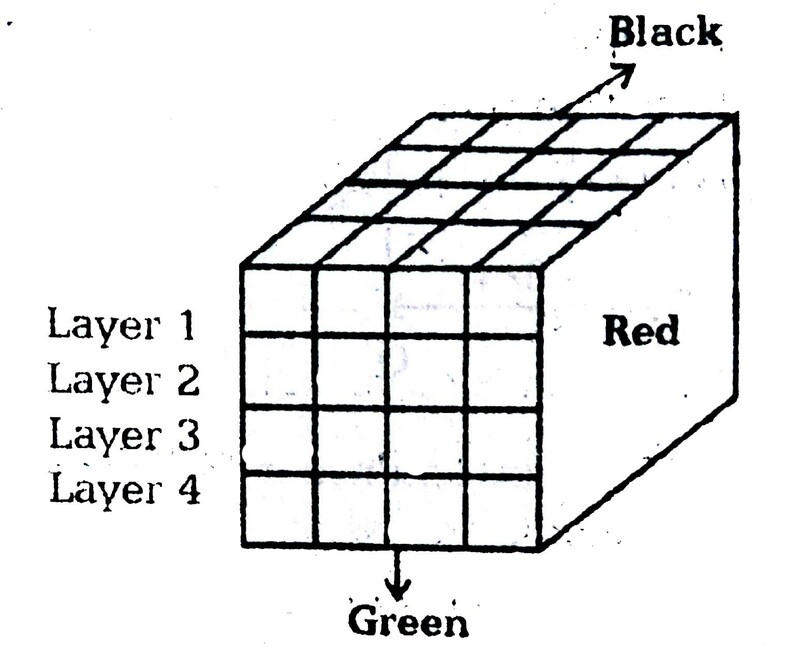 How many cubes have all three colours? 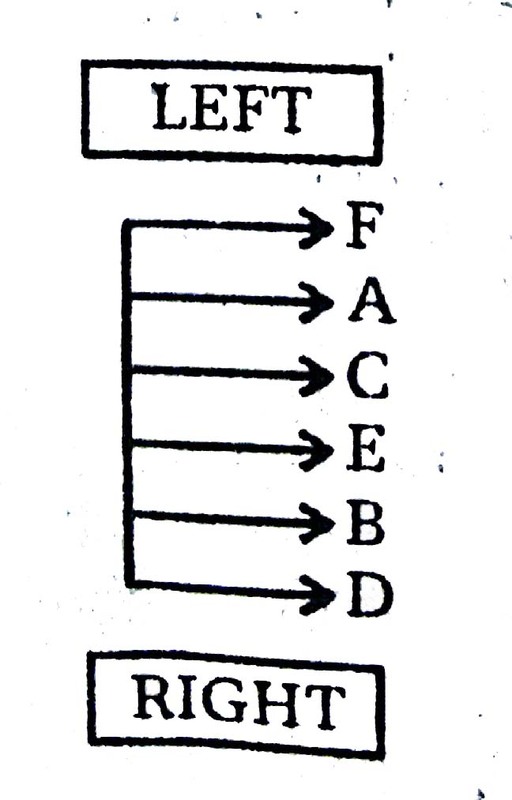 9).Six friends A, B, C, D and E are sitting in a row facing East. C is between A and E. B is just to the right of E but left of D. F is not at the right end. Who is at the left end? 1). There is no ‘M’ letter in the word INTERNATIONAL. 4). The letters have been written in the reverse order in the code.